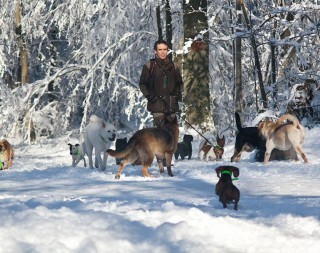 we enjoy a real dog life ! 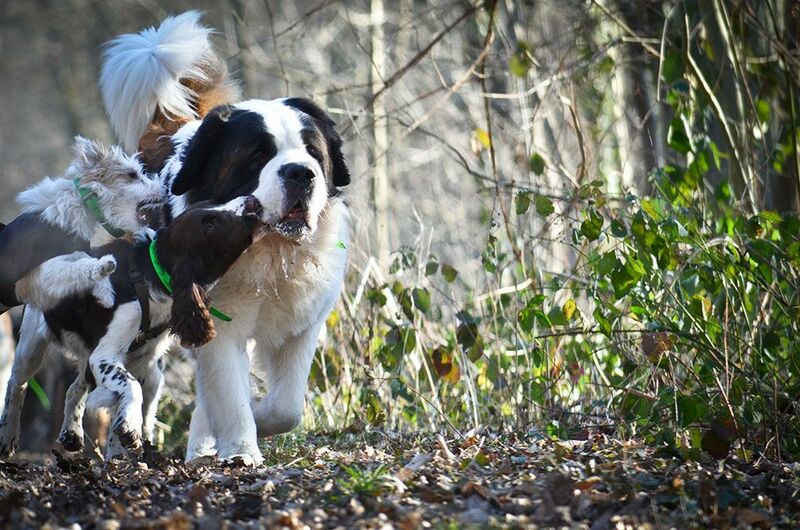 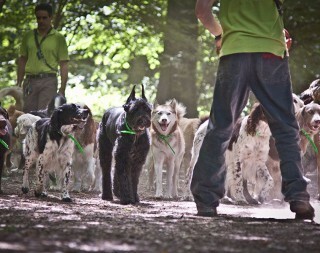 Our activities in the forest are very unique in the way they respect the pack dynamics and help your dog socialize. 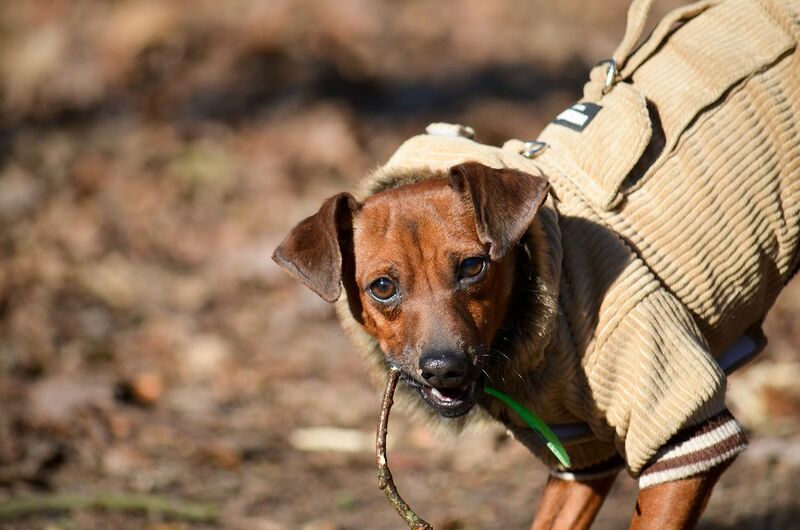 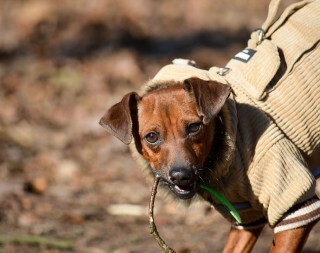 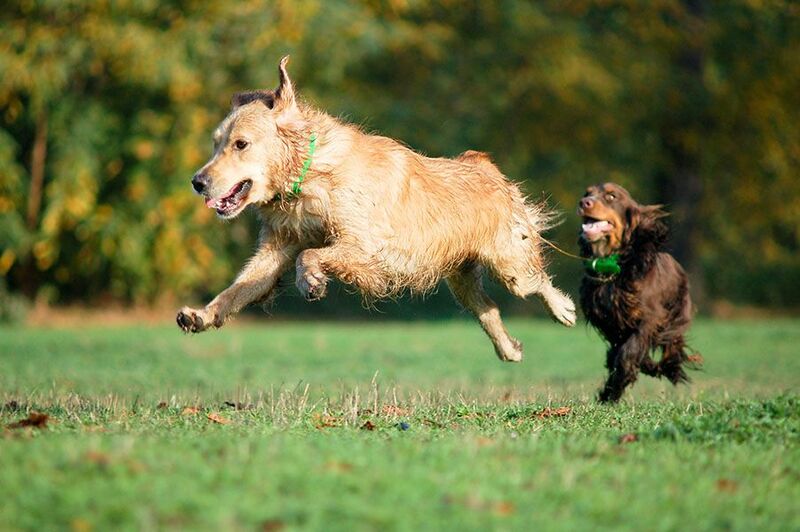 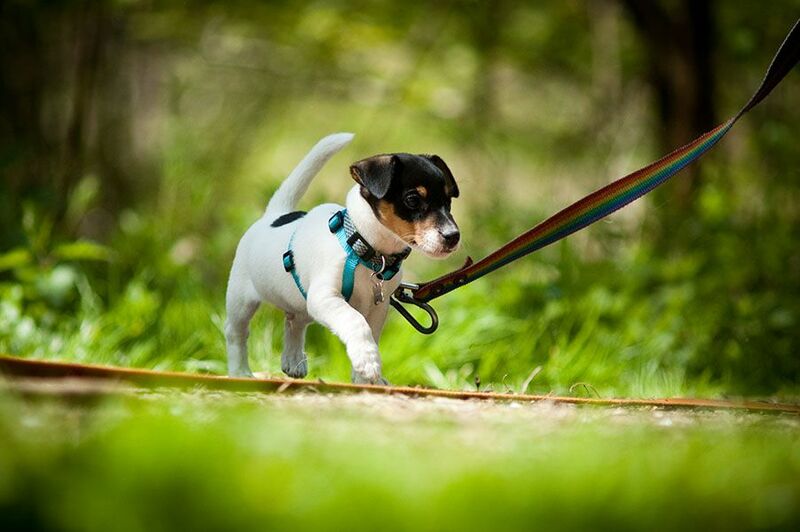 Strictly recreational, our walks are specially made for your loyal four-legged friend to spend energy, while staying within the frame of basic training skills that allow a safe control of your dog, such as calling them back and walking them on a leash when necessary. 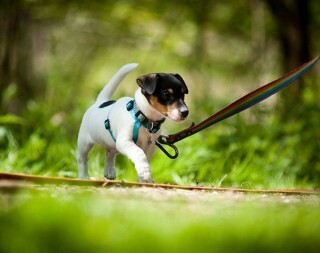 During the walk, safety is our main concern. 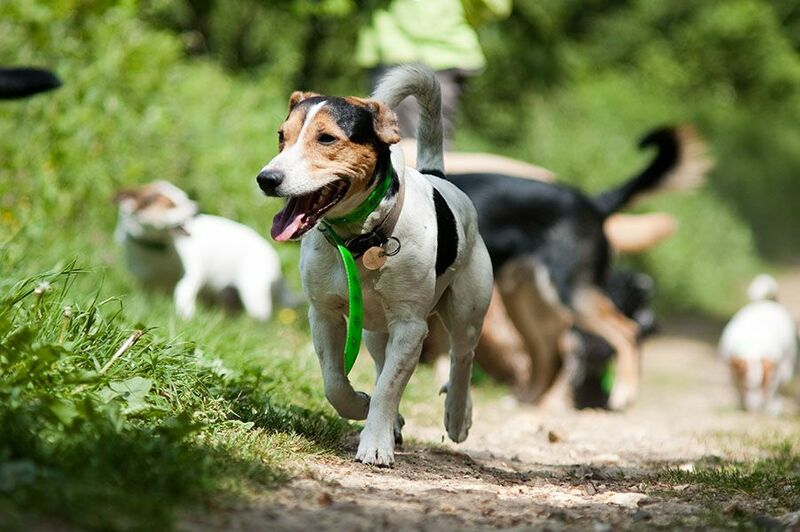 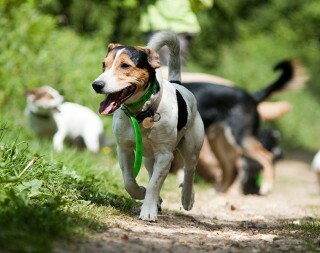 For this reason, the walk is always supervised by 2 dogwalkers certified in animal handling. 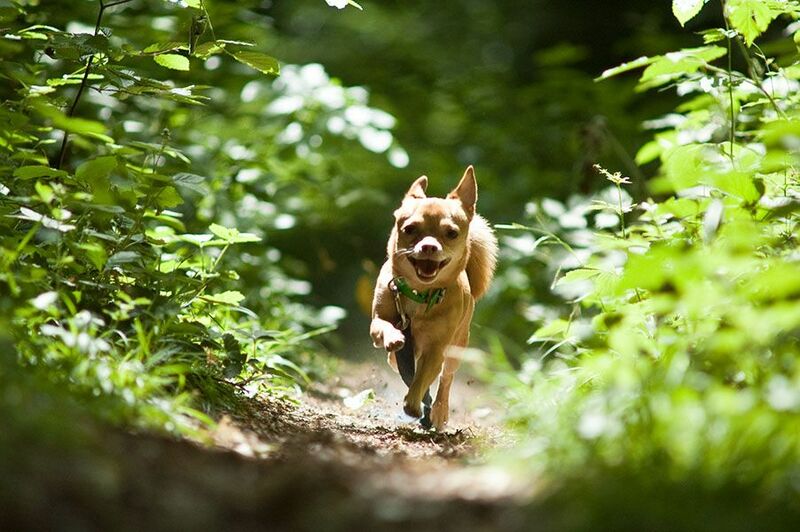 The well-being of your dog matters the most. 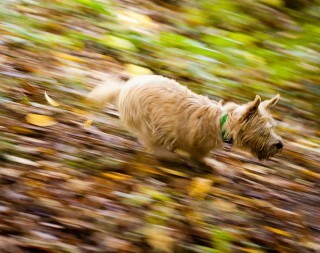 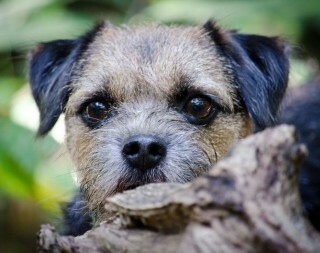 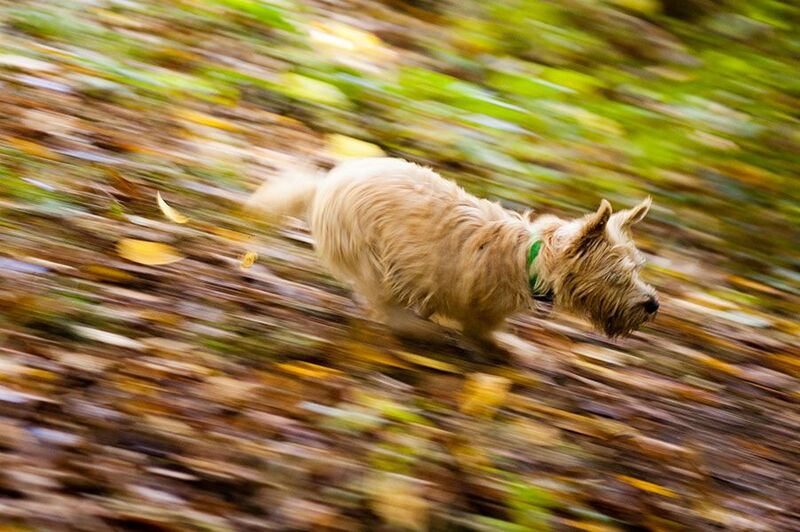 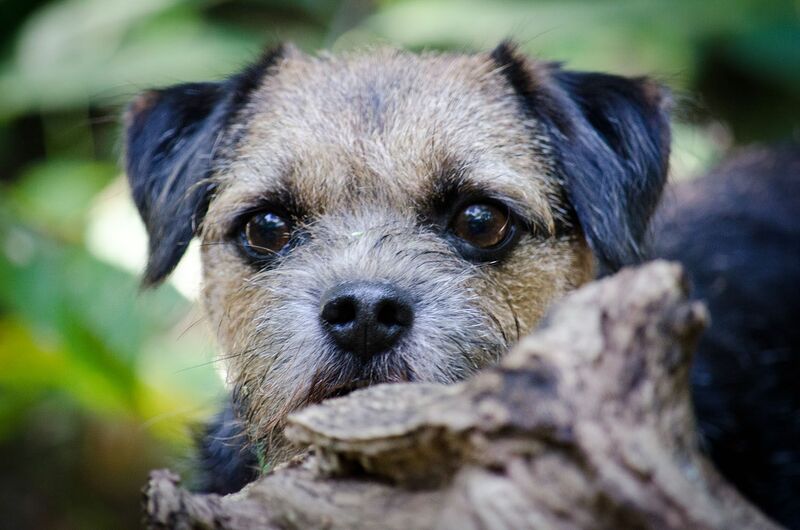 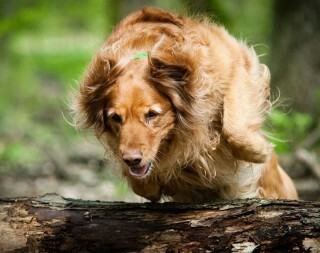 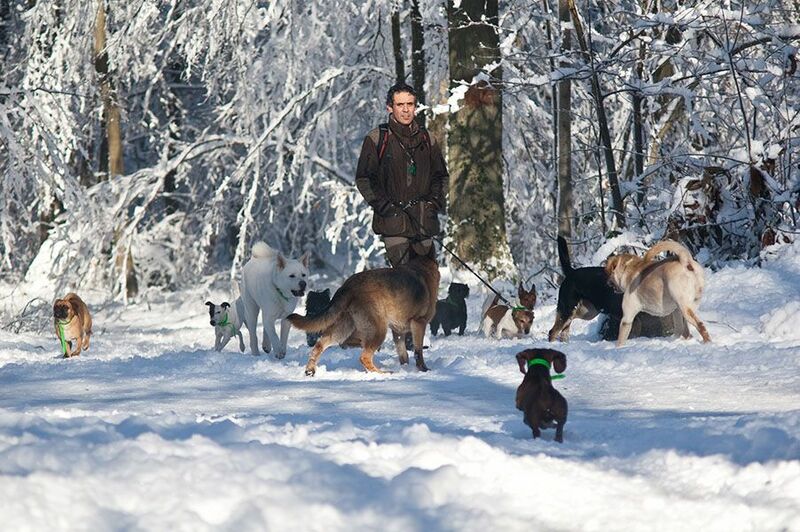 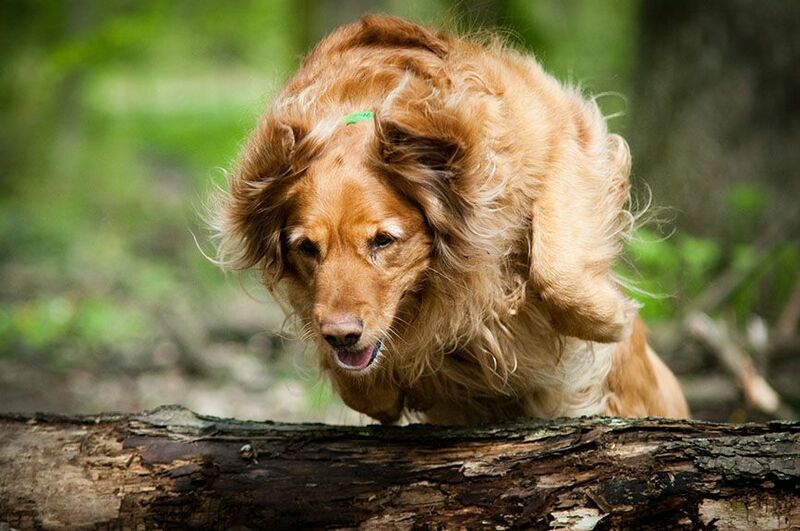 The dogs will walk in the forest for a minimum of 2 hours and 30 minutes, to as long as 3 hours, weather allowing. 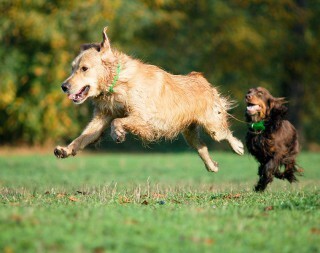 We make sure your dog is all cleaned up before we bring him or her back to your home or any other place of your choice. 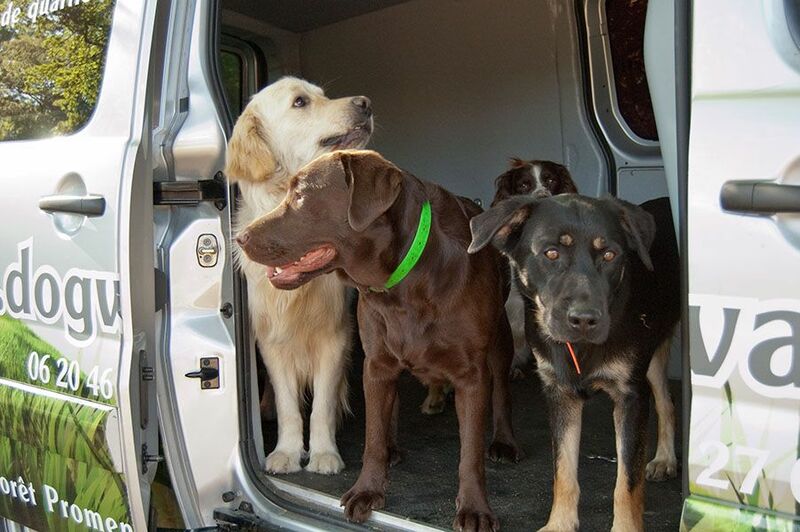 Our vehicules are air-conditioned and meet the animal transportation standards, which secure optimal comfort for your dog. 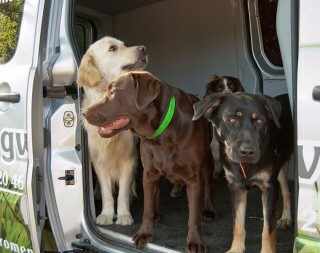 We clean and desinfect the vehicules thoroughly every day after each walk. 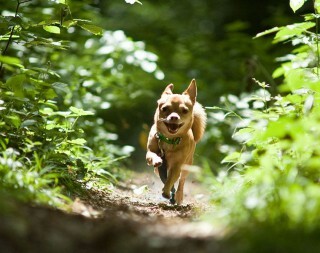 The Forest hike is available throughout the year, monday through friday (except on national days). 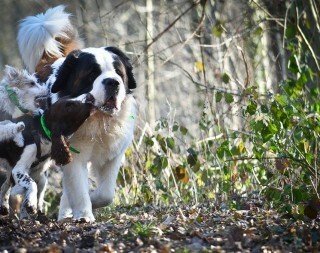 Over the week end, we take care of your dog at La Petite Crochère, our boarding doghouse.